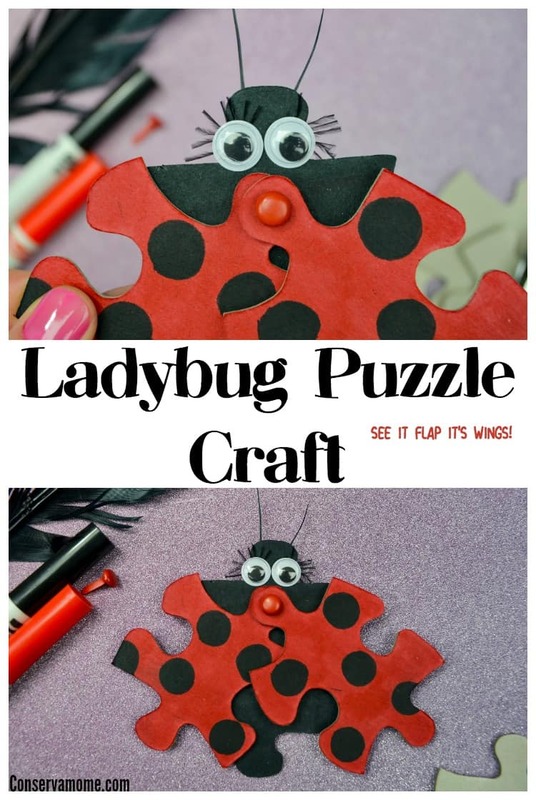 This fun Ladybug Puzzle Craft will be a huge hit with your kids. Best of all you’ll only need a few items to make this moveable little friend! Growing up my grandmother told me that finding a ladybug crawling on me was good luck. Forever after that I started to see ladybugs as friendly creatures that carry magic. And, let’s face it, ladybugs are probably the least frightening bug that exists. 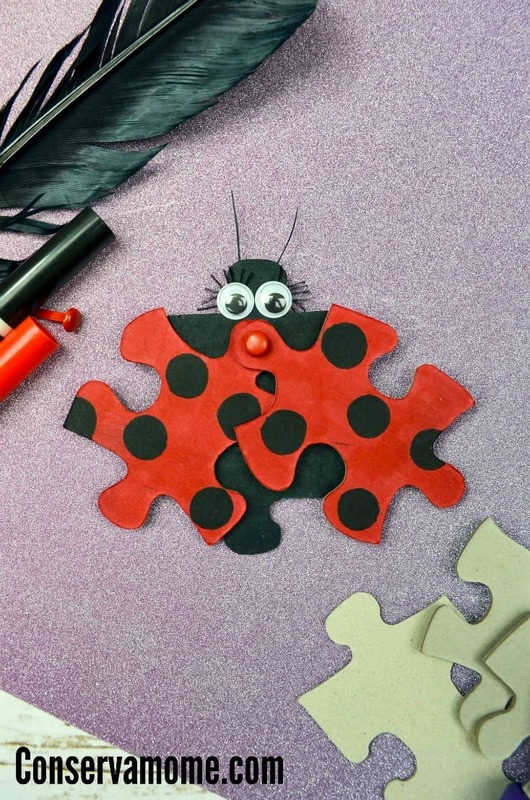 This precious ladybug puzzle craft is a fun way to incorporate a little magic into craft time around your house. This craft is super simple and even your youngest artists will love getting in on this one. 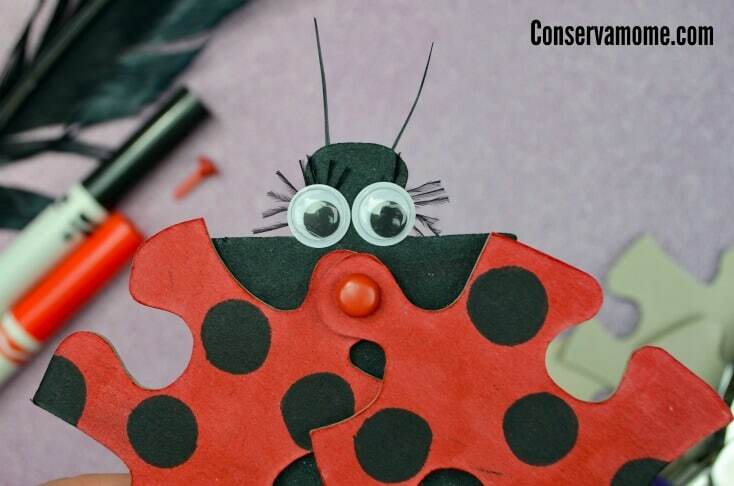 First, lets make the ladybug’s body. 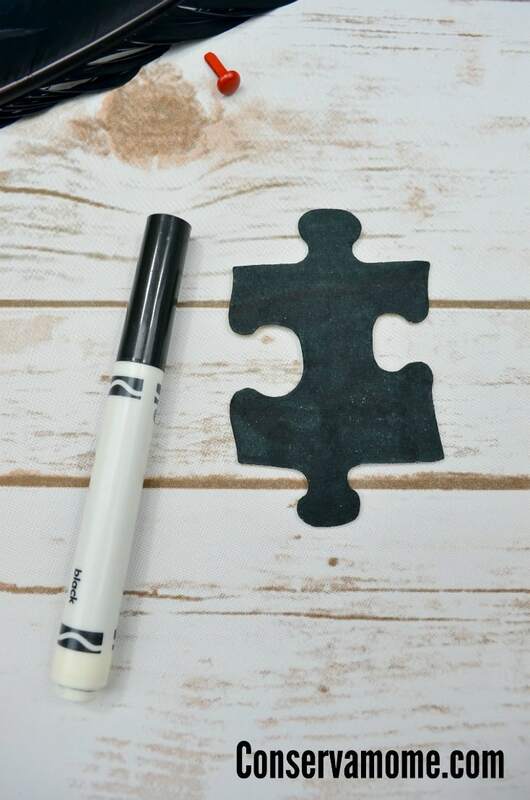 To do this, color one puzzle piece completely black with the marker. You can also use paint, crayons or colored pencils. Next, let’s give the ladybug some lashes! Peel back the paper off the google eye to expose the sticky side. Then take little pieces of the feather and stick them to the back of the google eye. 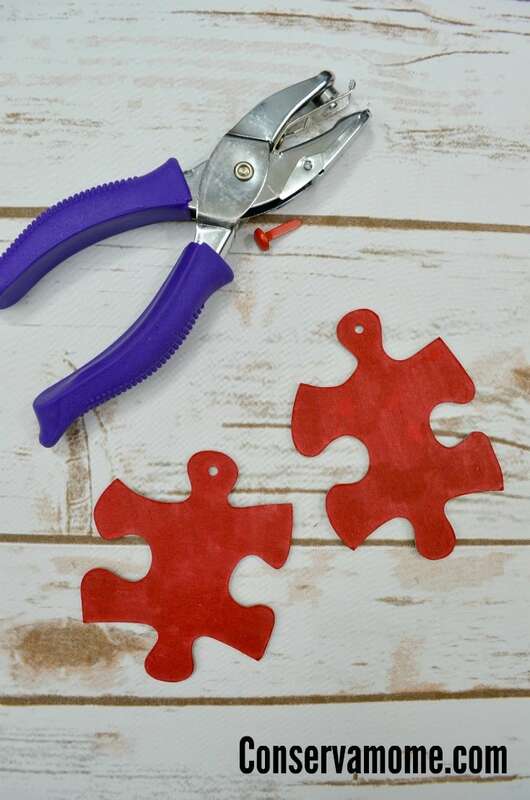 When all have been applied, use scissors to trim. Stick the eyes on the puzzle piece. 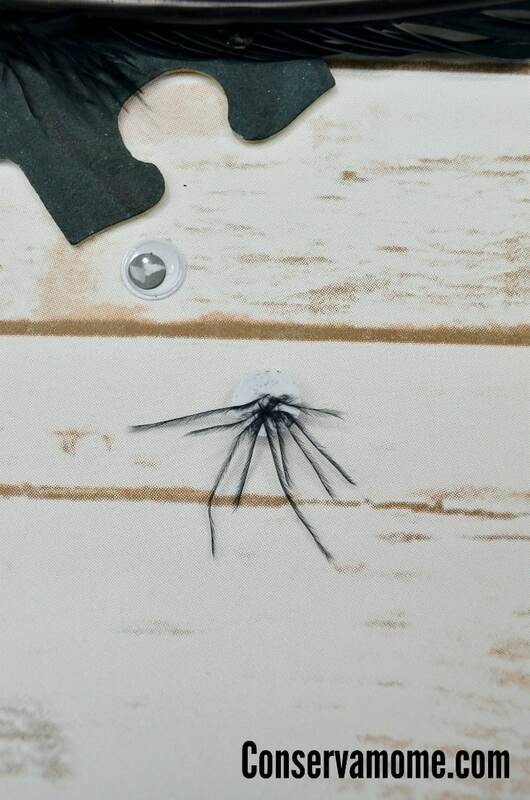 You might need a little glue depending on how many glamorous lashes you applied. 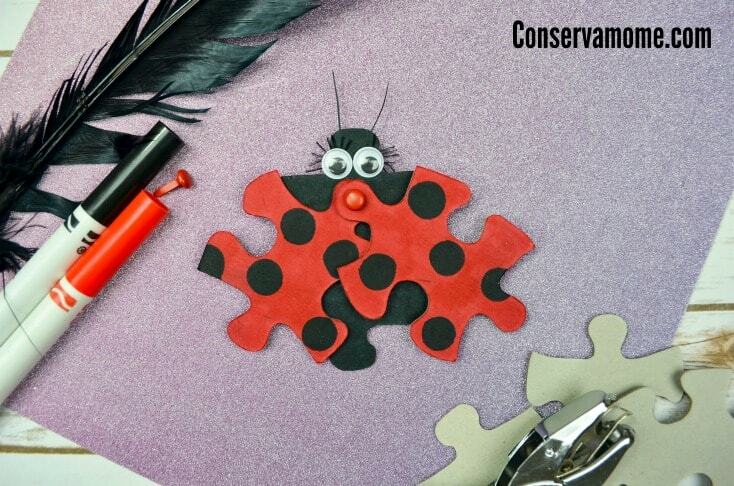 Also use glue or tape to attach some feather pieces to the back at the top of the black body puzzle piece to give the lady bug some antenna. Using the red marker, color the two remaining puzzle pieces red. 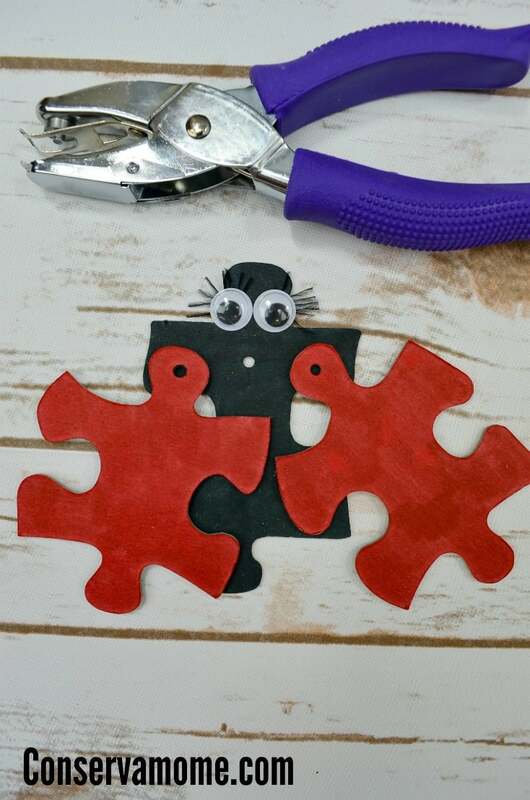 Next use the hole punch to create holes at the ends of the pieces. I would recommend using a black marker to mark a dot in the middle of ends of these pieces to make sure the hole is centered. 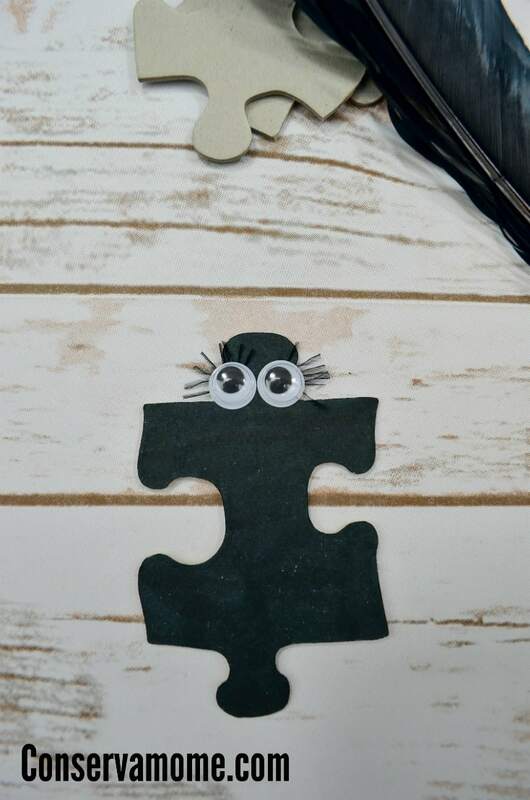 Make a hole using the punch in the body puzzle piece, centered right below the eyes. To attach the wings, stack one on top of the other with the black body piece being at the bottom. 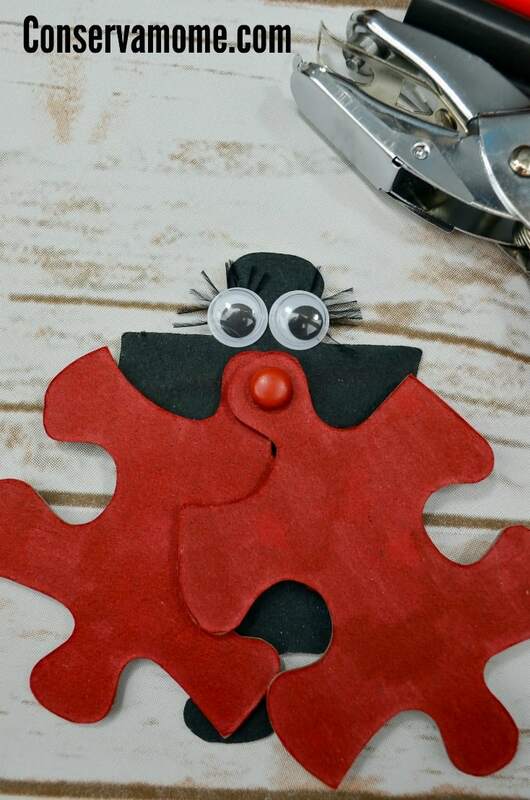 Color some classic ladybug black dots on the red wing puzzle pieces. The ladybug is ready to flit away! I hope having these ladybugs in your home brings you good luck!